After a decade of selling and installing the best projectors in the world, after seeing every projector manufacture in action at the audio and video shows I have found the king of kings. 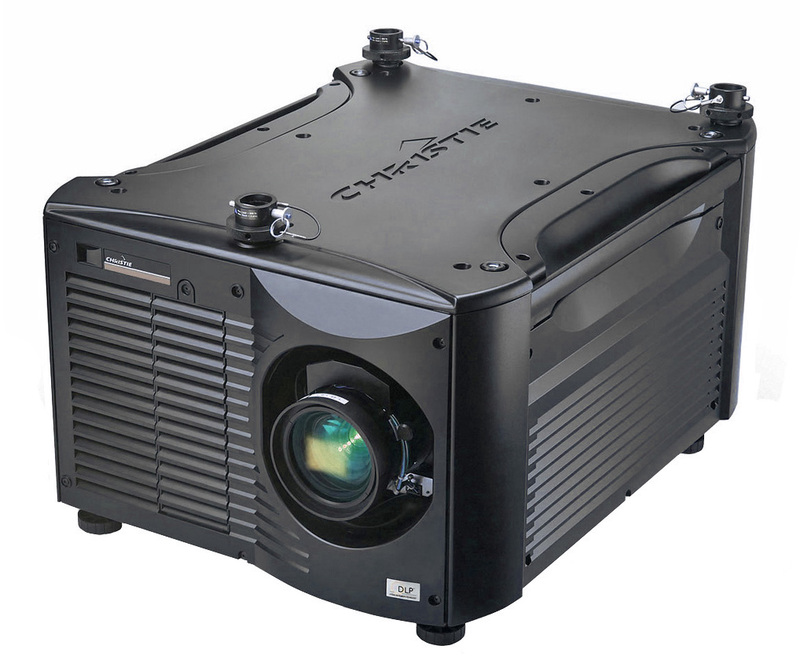 Christie is Canadian company that only makes ultra high-end projectors. They are well known and installed in the new IMAX movie theaters though out the country, in live concerts worldwide like U2 and LED ZEPELIN, and in private homes of visual perfectionist. 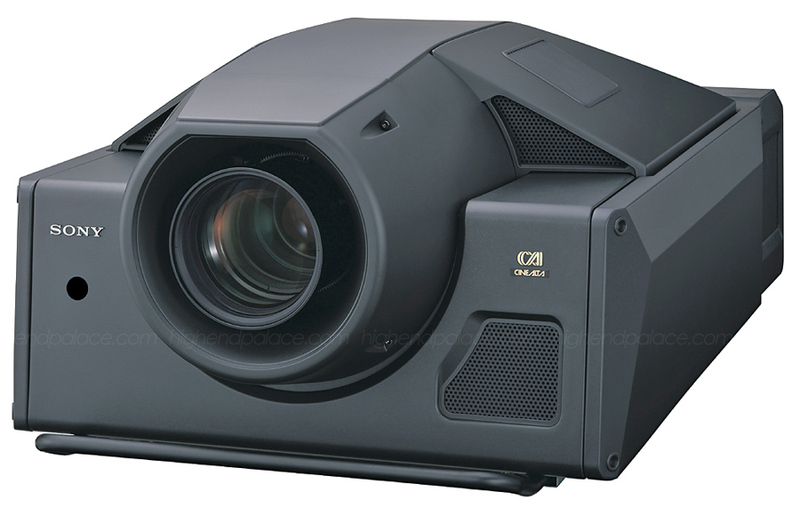 Contact me at 786 388-8050 for questions and sales of Christie projectors that I will provide a unique service and installation. Screenshots coming soon taken 16 feet away from a 10 feet film screen. Link to the Christie website. IMAX & DOLBY ATMOS Cinema Quality 4k projector super deal opportunity with new HD lens. This is the absolute best ultra high-end 4K projector available for your reference home theater. The D4K2560 is La Ferrari of projectors, it provides an effortless jaw dropping picture for screen sizes between 140" to over 360" inches with adjustable brightness of 10,000 to 25,000 lumens with XENON lamps. Call us that you will never be in better hands. Trade-ins Welcome! Here is a link of the B&H selling it for $100,000. For details contact High-End Palace 786 388-8050. Link to the specs; Christie D4K2560. Once in a lifetime deal! Was $120,000, Your price $49,500! The 2017 JVC DLA series provides a beautiful picture with superb color saturation and contrast. After our tests here at The Palace we recommend high quality screens from 84" to 120" and projector placement from 12 to 20 feet from the screen for optimum picture quality and sharpness with a high quality film screen. The new DLA series brings THX® certified performance to your home theater! 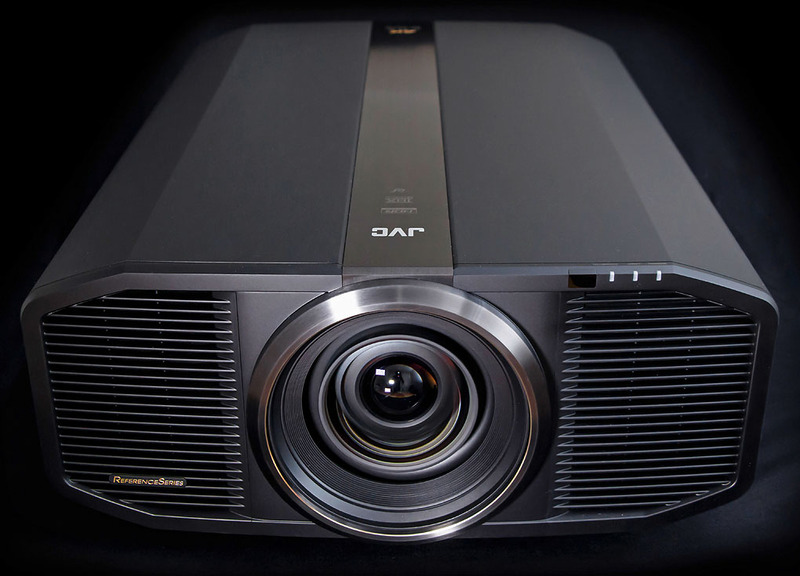 From its incredible 100,000:1 native contrast ratio to a new level of color accuracy, brightness and ease of use, this projector is in a class of its own. 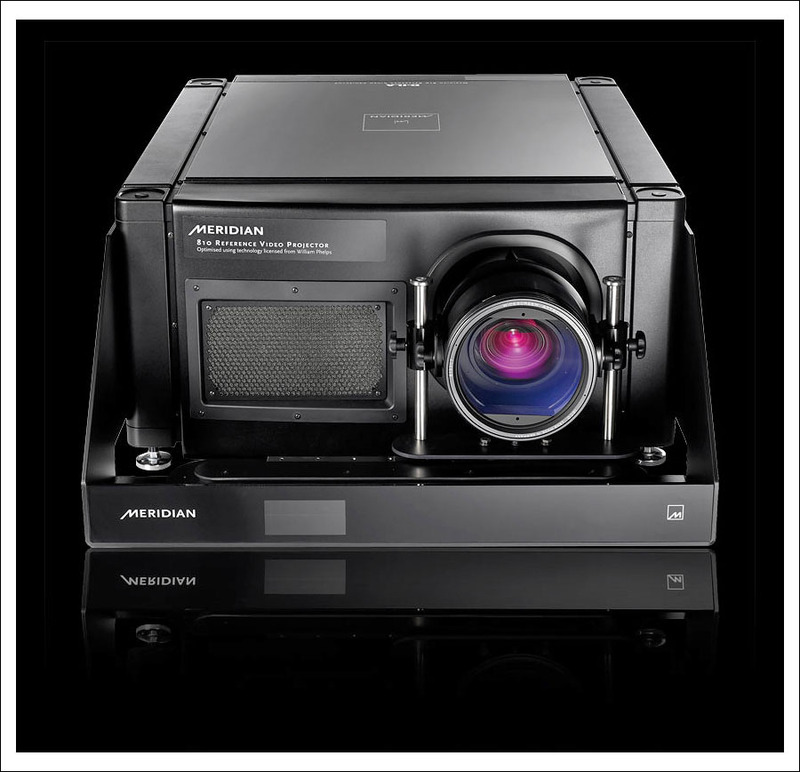 JVC has refined its Reference Series line of projectors by developing a new high precision 17 element motorized lens with an upgraded optical path, and by incorporating the Silicon Optix's HQV Reon-VX processor. Sporting a stylish yet functional new design and pearl black cabinet. Link to the JVC website. 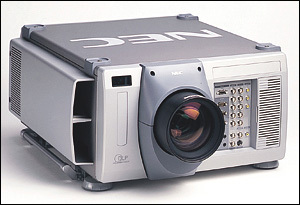 Contact High-End Palace for JVC Projectors! 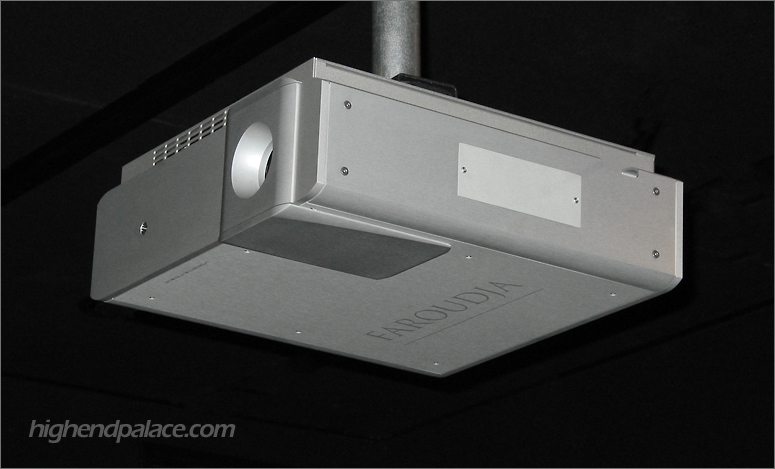 IT'S DEFINITELY TIME TO TRADE-IN YOU OLD PROJECTOR! In the past few years I have been asked this question quite a bit, Larry why do I need a processor? My projector or plasma has one in it and a couple of inputs already. The answer is that there is no replacement for a quality processor. A reference processor will provide a picture quality, flexibility, features, control and processing power to be able to deliver a picture quality like the picture samples bellow. This perfection of picture quality cannot be achieved without a high-end processor. Is like adding a $15,000 Reference DAC to a high-end two channel music system, the performance simply just jumps to another world. A reference processor provides your theater such an improvement that your picture without it simply looks washed, lifeless. Also, the depth of field without a processor practically does not exist, is two dimensional in comparison. In order to flesh out and image you need some serious clean processing power, and the two main ingredients needed to do that is a high quality processing from a reference processor and light output from your projector. Crystalio II VPS3100 $2899 ............................. CALL US FOR YOUR PRICE! Crystalio II VPS3300 $4499 ............................. CALL US FOR YOUR PRICE! Crystalio II VPS3800 $5499 ............................. CALL US FOR YOUR PRICE! Reference 3 chip 1080p SXRD High-Definition Projector with 1920 x 1080 resolution, Carl Zeiss ZP400 Focal Lens, 700W Xenon Lamp, DVI-D/HDCP and HDMI inputs, Component (progressive or interlaced)/HD on RCA jacks, component (progressive or interlaced) or RGB/HD on BNC, composite video, S-video. These new high-end projectors is what you need in case you want a really big theater for your whole family and friends to come on over for a night to remember. We are talking about your own private theater for 10 to 40 of your love ones. Enjoy a perfect big picture, screen sizes from 144" to over 360" inches. 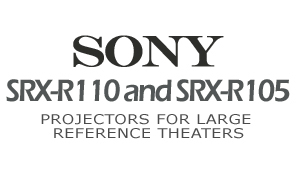 The SRX-R110 and SRX-R105 are Sony’s all-new large theater projectors, tailored with stunning features and picture performance to address the quality-critical demands in Digital Cinema applications. Combining the highest-resolution “4K” SXRD imaging device with contrast ratio of 2000:1, the SRX-R110 and SRX-R105 achieve high-quality images with rich and precise color tonal reproduction. "4K" Resolution (4096 H x 2160 V pixels at 1.85:1 aspect ratio) Provides the resolution needed for either one 4096 x 2160 image or dual 1920 x 1080 images or quad 1920 x 1080 images to be displayed. The world class Meridian 810 Reference Video System consists of two parts: a powerful 10 megapixel (4096 x 2400) 4k Ultra High Definition projector, unique in the home theatre industry, and a powerful scaler featuring Marvell Qdeo technology that upscales SD and HD sources to this stunning level of resolution for a smooth, flicker-free, cinematic experience. Indeed, the 810 system surpasses even industry Digital Cinema specifications, delivering a level of picture quality that is virtually never experienced outside a film-studio's preview theatre. Precisely calibrated at Meridian’s dedicated facilities over a period of four days using exclusive calibration technology developed by William Phelps, the projector features separate calibration for SD and HD sources. 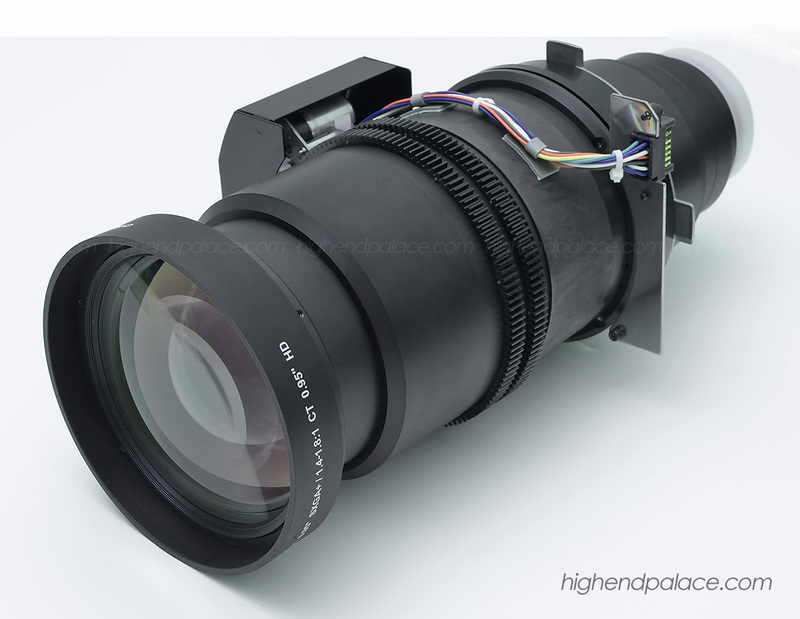 A series of high performance interchangeable lenses is available: short, medium and long-throw package systems include a motorized 2.35:1 (Cinemascope®) anamorphic lens; a very short-throw package is available for back-projection and simulator applications. The projector is designed to be mounted remotely and is controlled entirely from the scaler via RS232 and a comprehensive on-screen GUI. 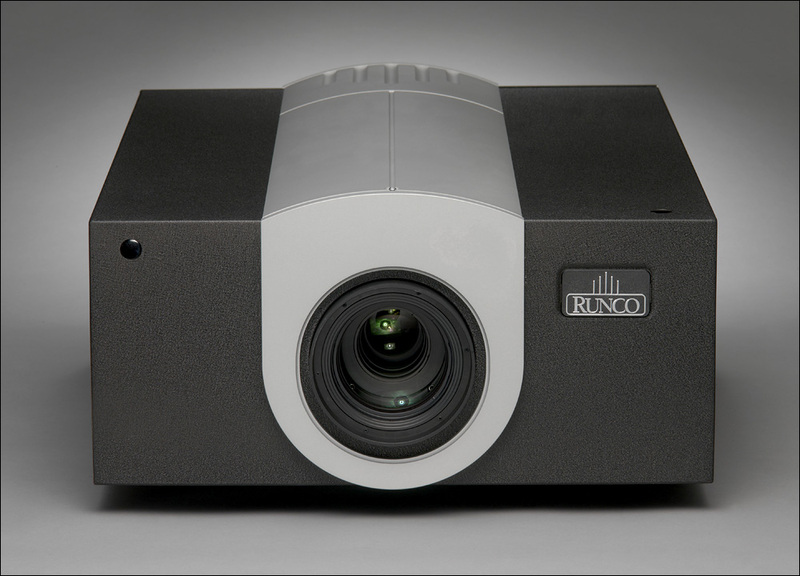 We have a 8/10 condition RS-1100 DLP projector featuring 1400 ANSI Lumen of brightness and Runco’s powerful SuperOnyx™ technology for bright, pristine, high definition images. The RS-1100 provides the best picture for the money in the whole RUNCO line up picture. 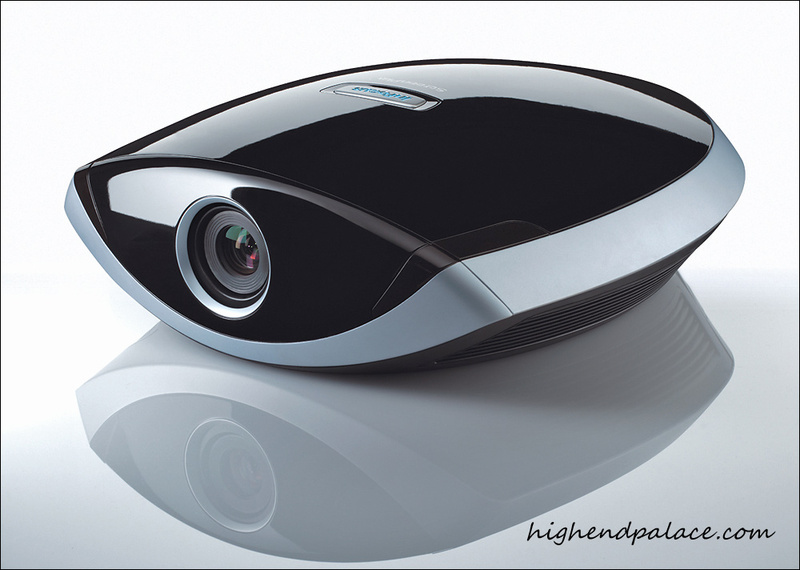 Superb projector! 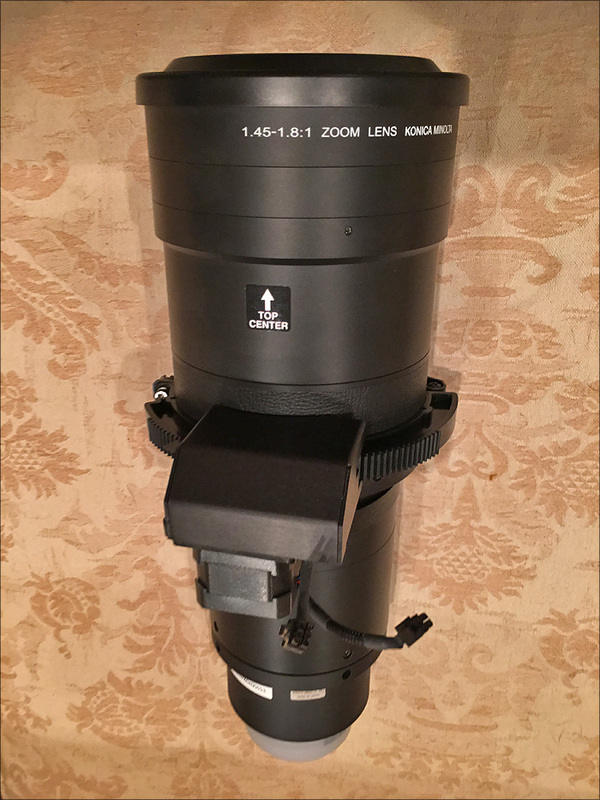 The Ultra version features high-end upgrades such as O-Path™ light path enhancement technology, CinOptx™ premium grade lens options, and AxiShift™ multidirectional lens shift capability. Both model’s illumination system incorporates Runco’s exclusive Selectable Lamp Intensity Control™ (SLIC™), which provides two light intensity levels to allow maximum flexibility for screen size, ambient light conditions, brightness and contrast balance, and lamp life preservation. It also has a newly refined cooling system, which increases efficiency and reduces noise levels. Runco’s advanced Vivix™ digital video processing is included to enhance picture quality from standard video sources, as well as provide artifact-free scaling. Also included are discrete input source, aspect ratio, power on/off, HDMI™ input and an RS-232 interface for seamless integration with automation control systems. Link to the RUNCO RS-1100 specs. The InFocus SP-777 is a world class reference 3 chip DLP projector that features three high-definition DLP chips, 5000:1 Contrast Ratio and 2000 ANSI Lumen of Brightness in a unique high gloss black piano finish streamlined design. The 777 provides a truly amazing picture with a clarity, contrast, colors, vividness and light output that sets the standard in a 3 chip DLP projector. The stunning world class SIM2 C3X Link reference 3 chip DLP HD projector featuring 3 high-definition chips, 6500:1 Contrast Ratio and 2500 ANSI Lumen of Brightness in a unique high gloss Italian design. 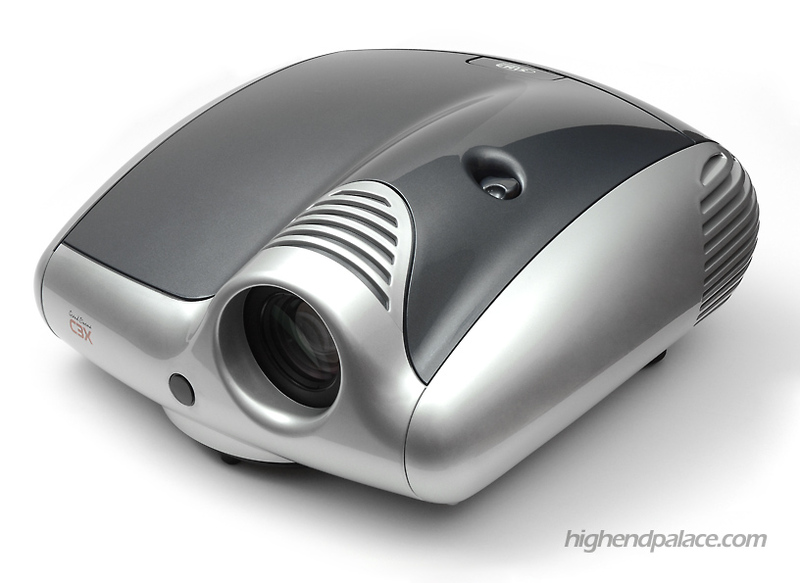 This amazing projector provides a picture with a clarity, contrast, colors, vividness. An absolute stunner! A jaw dropper. 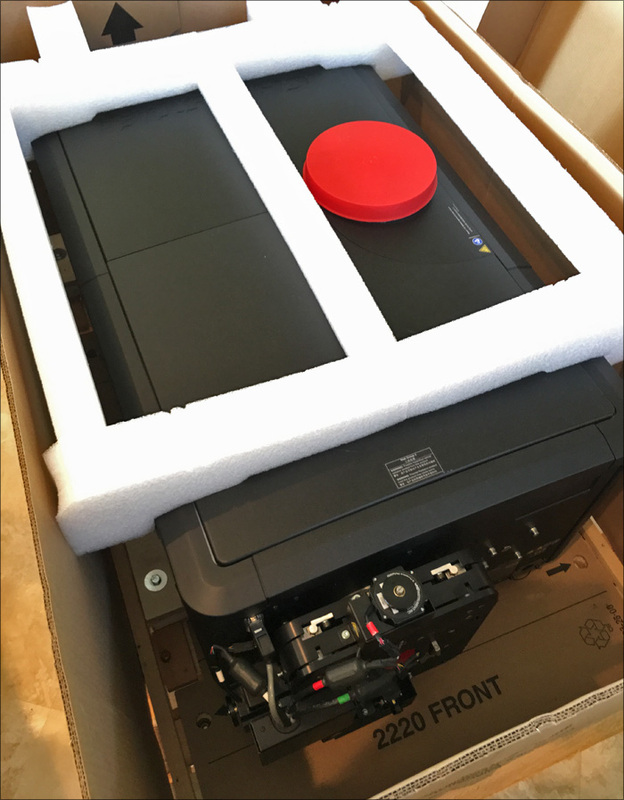 At High-End Palace projector certified trade-ins are shipped next day for free, gets a new light bulb and gets our $1000 reference calibration at no extra charge. Faroudja DILA3 features 800 ANSI lumens, 2.1 to 2.6:1 manual zoom and focus lens, custom anamorphic lens allows for full use of resolution and light output on a 16:9 screen, William Phelps Optimization for accurate performance, 200 Watt, NSH bulb, Excellent gray scale, color and detail with the amazing Faroudja NRS DVD/Processor in mint condition. 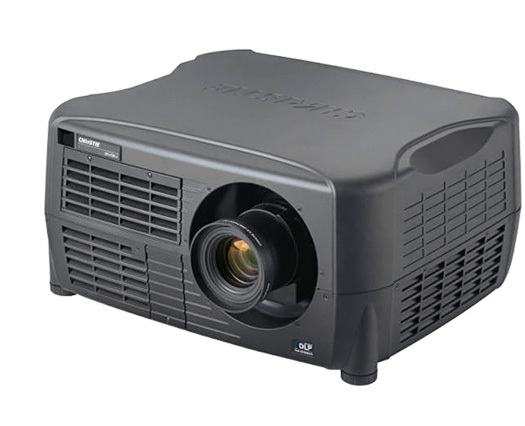 This reference NEC HD4K 3 chip DLP projector provides a HD picture that's breath taking with it's amazing 1000 WATTS Xenon Lamp and 3500 ANSI of (Lumens) Brightness. The HD4K provides true high-end reference film quality, the color accuracy, contrast, black levels, detail and natural flesh tones are faithfully replicated. It's one of the best for really big screens. Link to NEC TriDigital HD4K Brochure. Additional information at HD4K at Projector Central. The picture quality that a Faroudja DILA-1080pHD 3 chip 1920x1080p HD projector produces begins and ends with a fanaticism for creating and perfecting the ultimate image. This passion for excellence, combined with sophisticated testing equipment and software, results in a projector that sets new levels of accuracy and quality, critical factors for recreating the film experience. Faroudja's patented technology for color reproduction, detail enhancement and motion tracking is applied to ensure that all sources produce film-like images and are full of depth and dramatic impact. Link to the brochure and review for the DILA-1080p HD. 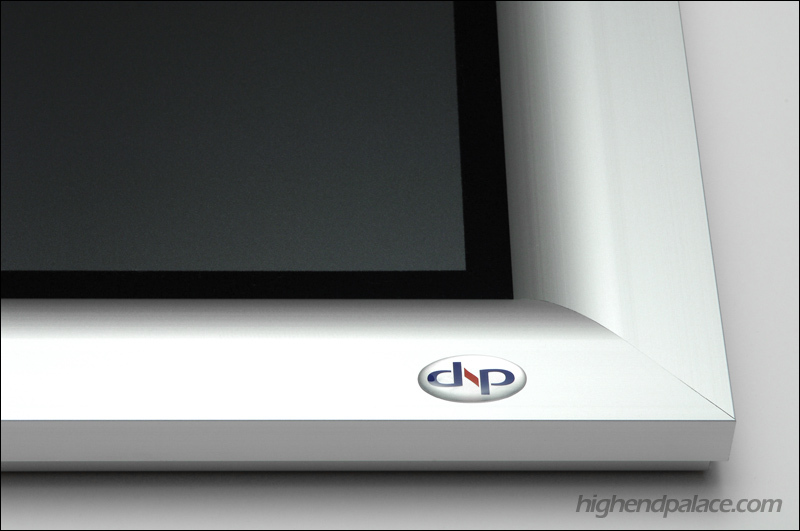 Shown on the photo above the DNP Supernova Reference Screen with the smooth brushed aluminum silver frame. HD Photography by Larry D. Diaz for High-End Palace. 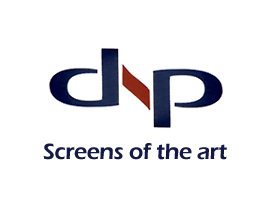 DNP Reference Film Screens are the best film screens you can buy for your theater. The Supernova Film Screen features an ultra-fine pitch of 0.065 mm that provides a vertical resolution of 20,000 lines with a 100" version of the screen and infinite horizontal resolution and a patent pending high-contrast filter that covers 60% of the screen surface. 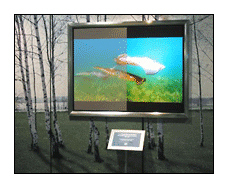 We have a 120" DNP Supernova Reference Screen with the smooth brushed aluminum silver frame available. Call for pricing! This screenshot was taken 15 feet away from the Edgeless Ultra-Thin 90" Millennium M1 High-Contrast 4K-HD Reference Filmscreen. Reference HD Photography work done by Larry D. Diaz for Millennium & High-End Palace. High-End Palace proudly presents the future in HD picture reproduction. The Millennium 4K-HD Reference Filmscreens is the absolute best high-end filmscreen we have seen and tested to date. These screenshots clearly shows what is all about. Millennium 4K-HD provides a new standard in picture quality realism that speaks for its self; it provides a brightness, contrast level and saturation of vivid colors that can not match so far by any other manufacture. The experience is so real that it transports you completely in to the live music concert or film. The new edgeless ultra-thin Millennium M1 High-Contrast and Millennium M2 Natural Filmscreen simply have no competition in high-end picture reproduction period. We believe that seeing is believing, look at the photos samples bellow of the picture projected on the Millennium Filmscreens. If you are still not convince, come and see for your self. I will personally guarantee the best picture you have ever seen, your purchase comes with a 100% satisfaction. Contact Larry Diaz today at High-End Palace 786 388-8050 for Millennium Filmscreens. We provide everything you need to achieve a true reference picture quality. Contact us for sales, installations, calibration or to help you select the right filmscreen size and model for your live music concert room or private movie theater. Contact High-End Palace for Millennium filmscreens! Screenshots taken 15.5 feet away from an edgeless ultra-thin 100" Millennium M1 High-Contrast 4K-HD Reference Filmscreen. Screenshots pictures of HD live concerts in Blu-Ray format will be posted soon! In the last 15 years I have seen filmscreens manufactures grown quite a bit due to the huge increase in projector sales worldwide. Today there are well over sixty filmscreen manufactures that I can think of but less than a hand full of manufactures that delivers true reference filmscreens. Let's talk about that last statement for a minute. A true reference filmscreen has to provide a picture that delivers superior sharpness, contrast, brightness and displays colors with life and accuracy after the projector is properly calibrated. The most important factor that reference filmscreen provides is the experience of being there, that ultimate realism that transports you to the scene putting you in the middle of the music concert or film. The fidelity of the pictures you see projected on the Millennium M1 High-Contrast 4K-HD Reference Filmscreen above looks completely lifeless and out of focus in comparison with other screens, that realism you see is out the door. The bottom line is that Millennium M1 makes any projector look 40% to 200% better than most other screens available on the market and I have seen them all. Take it from experience, a filmscreen is about the only thing in your high-end system that you probably will never replace ever again, it's quite a job to set it up, it requires minimum of three people to set it up properly, it's extremely delicate and expensive to ship because of the size. Projectors and components will most likely come and go through the years but your filmscreen will most likely will stay with you. Do you self a big favor and don't take your filmscreen for granted, keep in mind that your picture quality can only be as good as the screen that reflects the picture. Do it right the first time, get the best from the start and avoid the regrets later. Looking for the best audio processors, video processors, amplifier and mono blocks for your high-end theater? E-mail us or call The Palace today that we have them starting $1000 to well over $70,000. 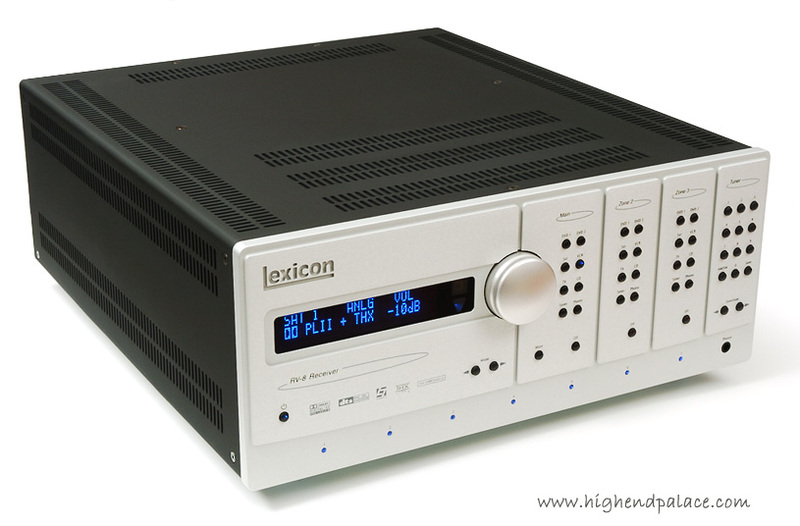 We are experts with over 20 years of experience selling the best reference high-end theater components in the business. Call The Palace today at 786 388-8050. 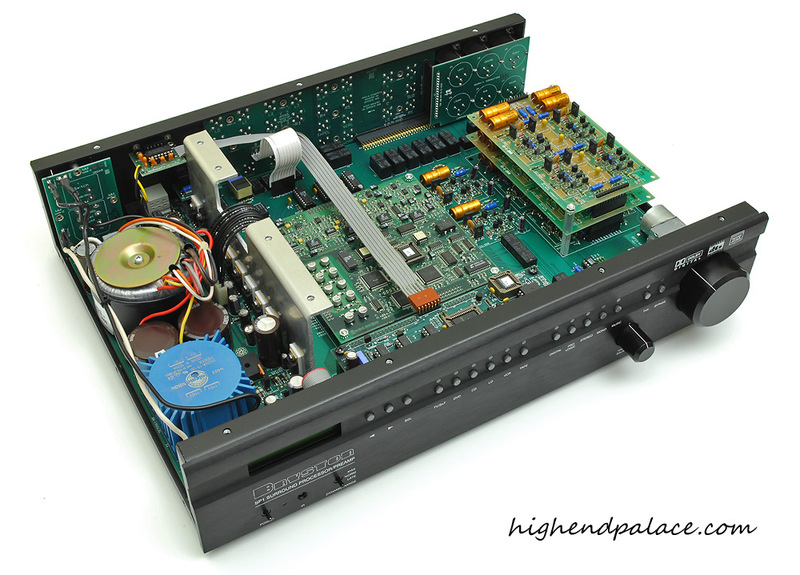 High-End Palace proudly present the best video processor we have heard to date. Call us for all the details! The RS20i is built by audiophiles for audiophiles, no expense has been spared in producing the most versatile, customizable and feature-rich audio processor available today in the high end consumer space. Dialog is crystal clear, sound tracks sound like they are being played from the original mixing desk and features such as HDMI v1.4a mean the RS20i can also seamlessly handle 3D video content. The RS20i is a professional sound solution. Once configured, it is easy to manage with all the power of a cinema audio processor available at your fingertips through your smartphone, iPad or laptop. Datasat’s entrance into the high end consumer market is a natural progression based upon its many years in the professional cinema market. Contact High-End Palace for your RS20i! The world class Casablanca IV remains one the finest sounding, most flexible preamplifier / processor available today even 18 years after its initial appearance in 1996. Continuous upgrades have maintained our vision of a reference-worthy multi-channel audio processor with audiophile performance, come-hither cosmetics and world-class usability and maintained essential contemporary features. 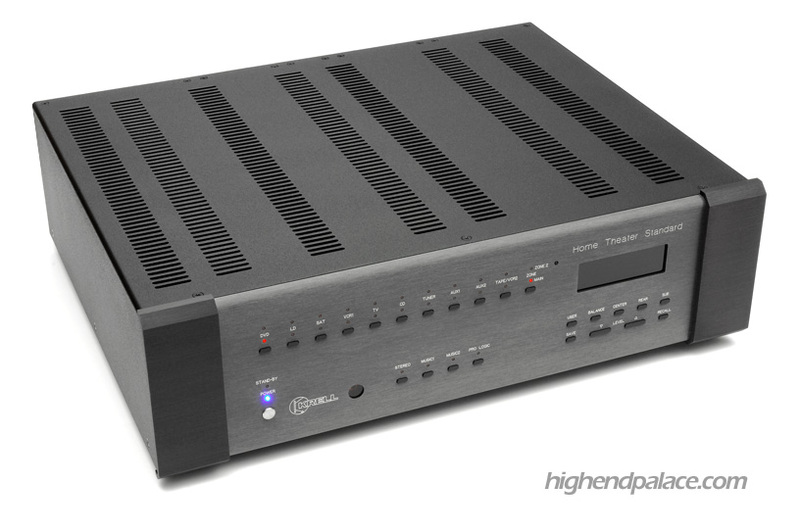 The 2012 revision to the III HD brought a new, Dave Reich designed power supply with HDMI and lossless audio decoding. Today's upgrade to the Casablanca IV brings 4k HDMI video pass-through (when upgrading a Casablanca I, II or III. 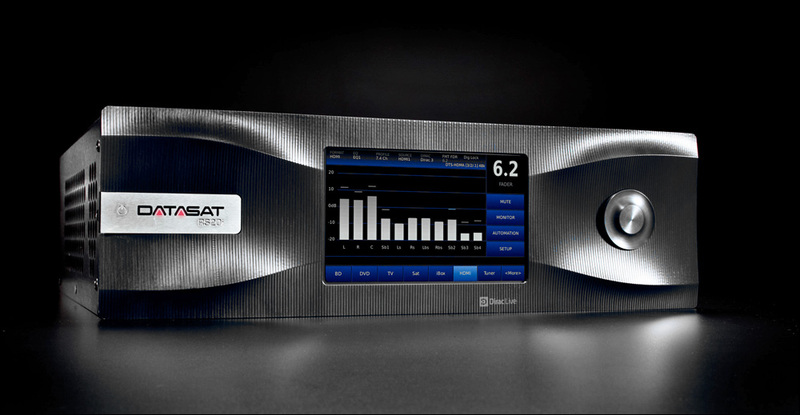 The 4k HDMI card is an option when upgrading the Casablanca III HD), state-of-the-art audio bandwidth to 192 kHz, increases DSP processing power by a factor of 10, adds world-class digital room correction and optimization from Dirac Live operating at a world-leading 96 kHz and our novel Jitter Jail II to fix insidious timing errors especially inherent in HDMI audio signals. Only Theta Digital has offered such quality and long-term value in this ever-changing product category. Contact High-End Palace for your Casablanca IVa! 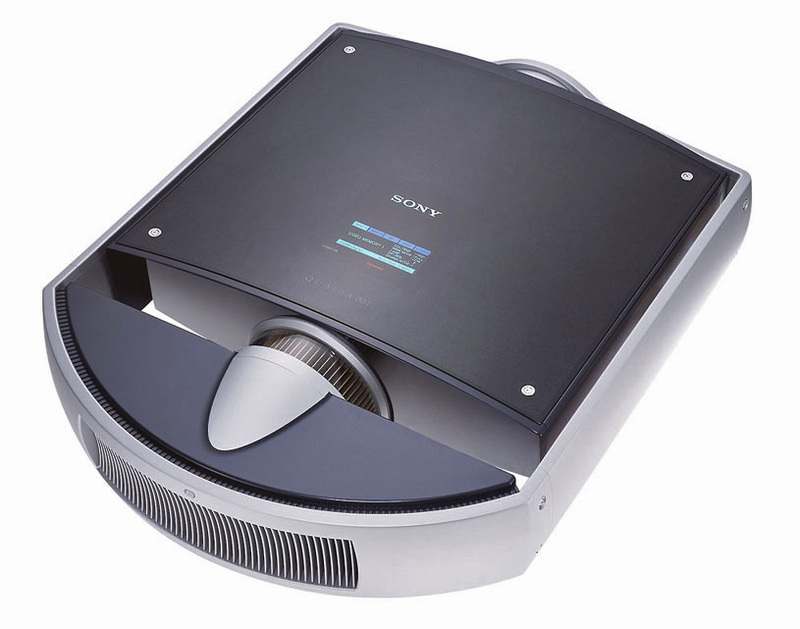 Looking for the best condition pre-owned reference home theater components, video and projectors? E-mail us or call us today that we sell the best certified trade-ins, demos and in the business. Call us even if you don't see what you are looking for that most likely we have it. Contact High-End Palace 786 388-8050. 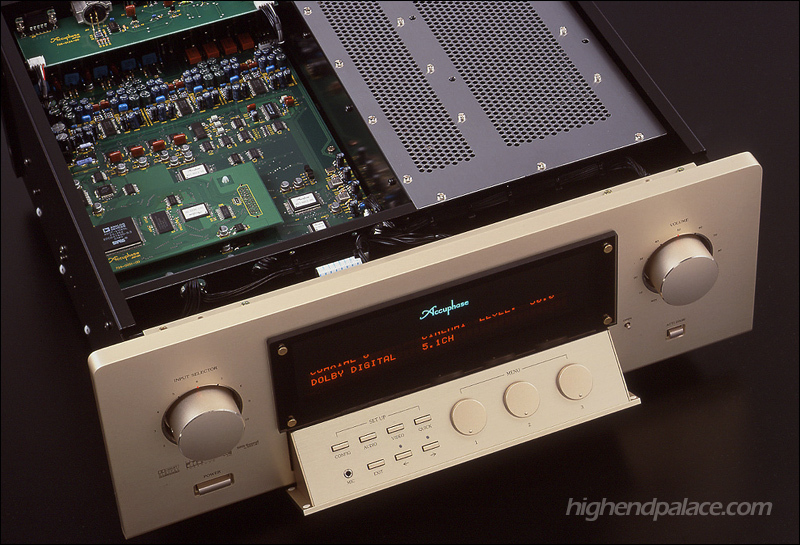 The Accuphase VX-700 is arguably the best reference theater processor available in the world. 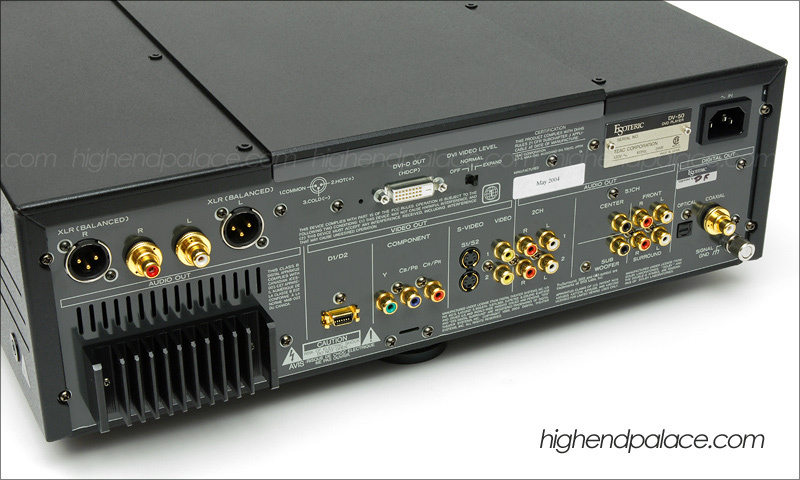 World class high-end DSP and features like the world class 24bit Accuphase converters for each output channel, IEEE 1394 digital link, scaler with High Definition, line doubler and quadrupler option boards with DVI, all balance processor input to output. 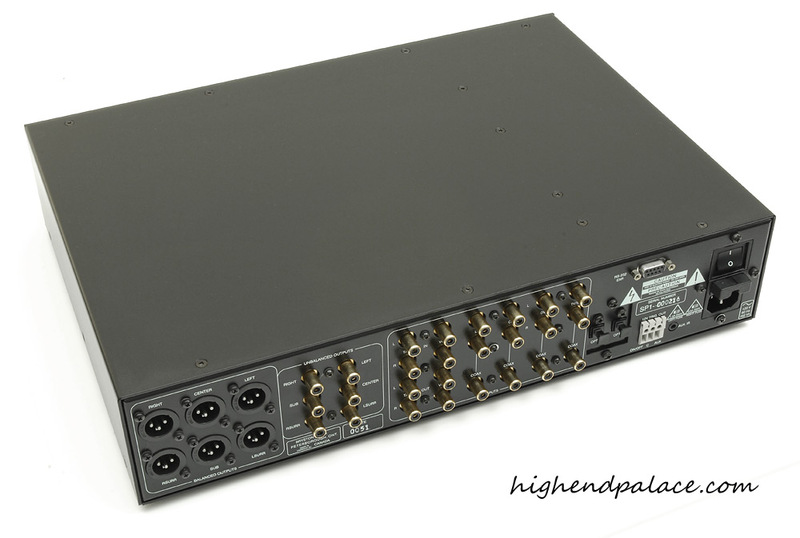 This world-class processor outputs progressive format though DVI/HDMI and analog component though five high quality BNC connectors with Horizontal and Vertical alignment. 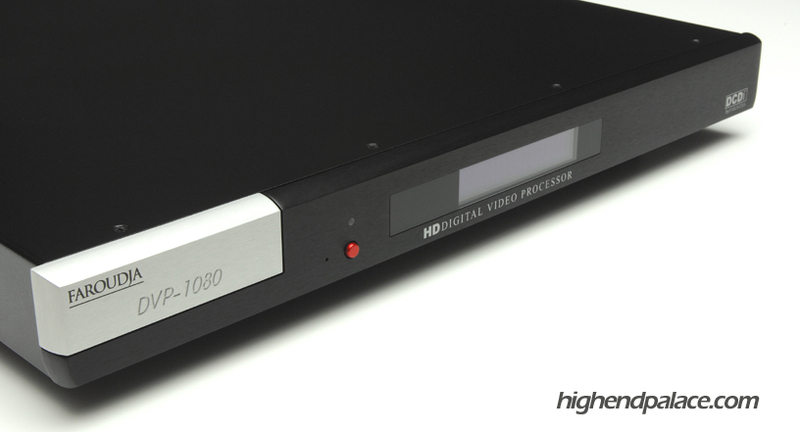 The DVP-1080 converts DVD's, HD programming and Blu-Ray to reference caliber progressive format. The Faroudja DVP-1080 improves picture realism, vividness, contrast, brightness, sharpness, detail, color saturation and overall picture quality by 20 to 50%. Please see the picture samples bellow to see the stunning results. This Faroudja DVP-1080 high-end processor is what we call a true world class processor, an out of this world improvement for all high-end DLP's, LCOS's, SXRD's, D-ILA's, CRT projectors, Plasmas and LCD displays. A processor made for the perfectionist. Get a true film like experience in your theater today. 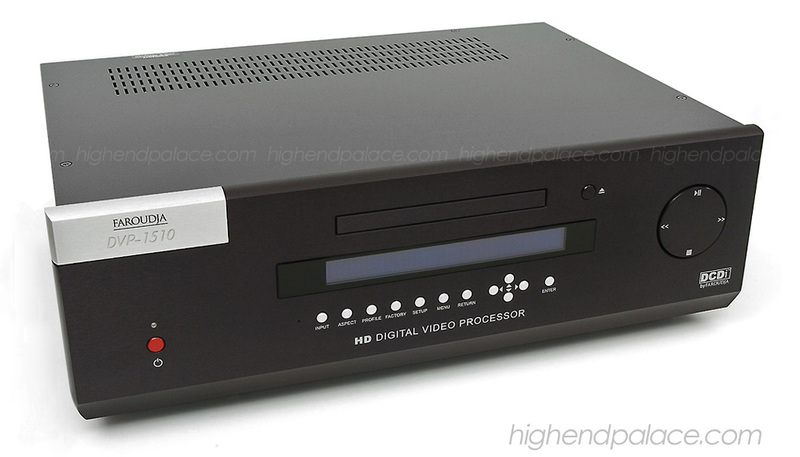 Link to the Faroudja DVP-1080p HD world class upscaler. Contact The Palace for your Faroudja! 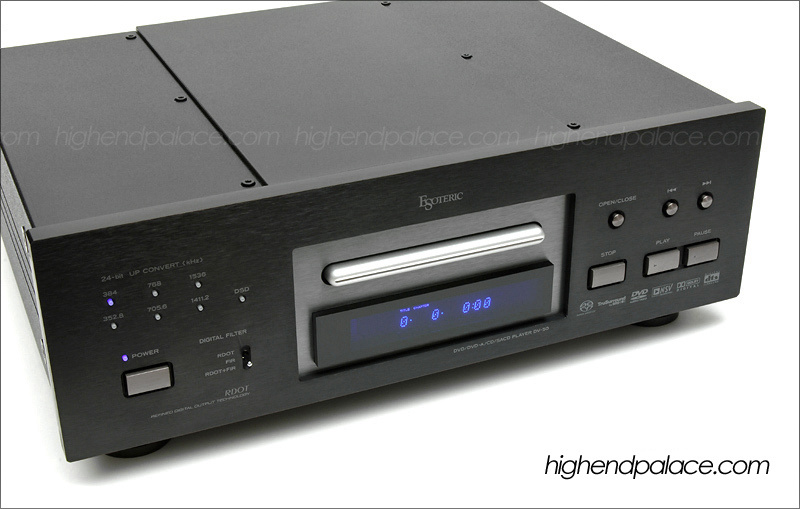 World class high-end universal players and transports for high-end audio systems and theaters. These players provide a true world class picture quality and with audiophile analog and digital output, as a transport is one of the most accurate transport for video and audio available. Play what you want: DVD-Video, DVD-Audio, DVD-R, DVD-RW, SACD, Audio CD, Video CD, CD-R, and CD-RW, CD-R/RW, DVD-R/RW and MP3 for the Compli and DVD-Video, DVD-R, CD, CD-R for the CARMEN II. Link to THETA Digital website and the Compli specs. 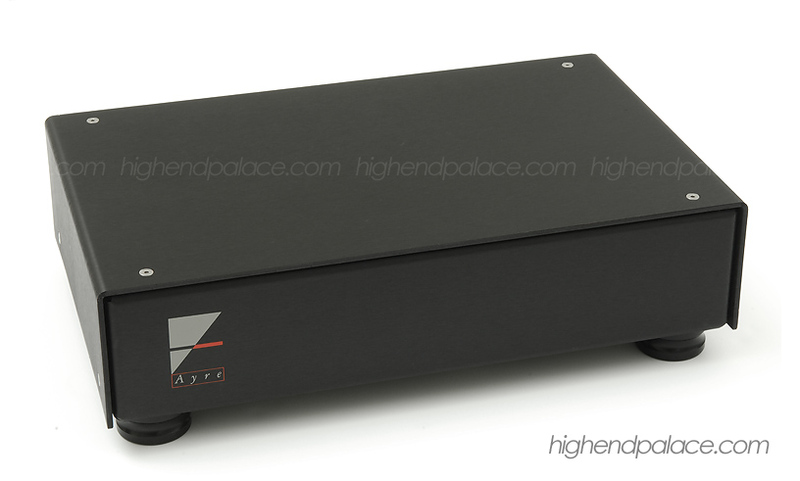 Arguably the best high-end DVD/CD transport with HD upscaler/processor in the world! Yes Sir! The best DVD/CD transport with XLR AES/EBU, BNC, RCA digital outputs with two channel high-end audio transport performance with upscaler/processor in one chassis in the world. You have not seen a quality picture yet in your theater, the 1510 provides a 40 to 50% improvement over any other DVD and processor combo. World class Faroudja technology that provides accurate pixel count processing though DVI/HDMI with HDCP or five Analog BNC connectors for all HD formats. Drastic improvement in color saturation, detail, contrast, brightness, lowers video noise and it get the skin colors right. An out of this world improvement for all high-end Plasmas, DLP's, LCD's, LCOS's, D-ILA's and CRT projectors. Film like experience! These HD DVD Players has been our reference players for our world class demos. The picture quality is truly superb on these players, just take a look at the photo samples taken from a 120" DNP Reference Screen bellow of the player running in 1080i HD. The HD-AX1 provides full 1080i without any compression. Contact The Palace for pricing! This pre-owned Bryston SP1 preamplifier/processor provides you with state-of-the-art performance in stereo and surround sound capability with analog and digital formats. The performance of this Bryston SP1 will outperform any high-end receivers at any price, the Bryston SP1 is the best high-end processor you can buy in the pre-owned high-end market under $2500 today, is our favorite sonically in this range of price, it sounds crystal clear with superb imaging and effortless dynamics. This unit is in excellent conditions; it comes with a massive and beautiful remote and manual. Here are 23 opinions about the Bryston SP-1: audio review. The Bryston SP 1 operates as a full-featured preamplifier if used in the "bypass" mode and is in fact identical to the circuit path in our BP-25 stereo preamplifier. The bybass mode provides a totally discrete analog signal path - including the volume control, from input to output. It does not go through any IC's or digital circuitry from input to output. In the digital mode the SP 1 automatically detects the digital input signal, roots the signal through the DSP module and adjusts to the appropriate mode. 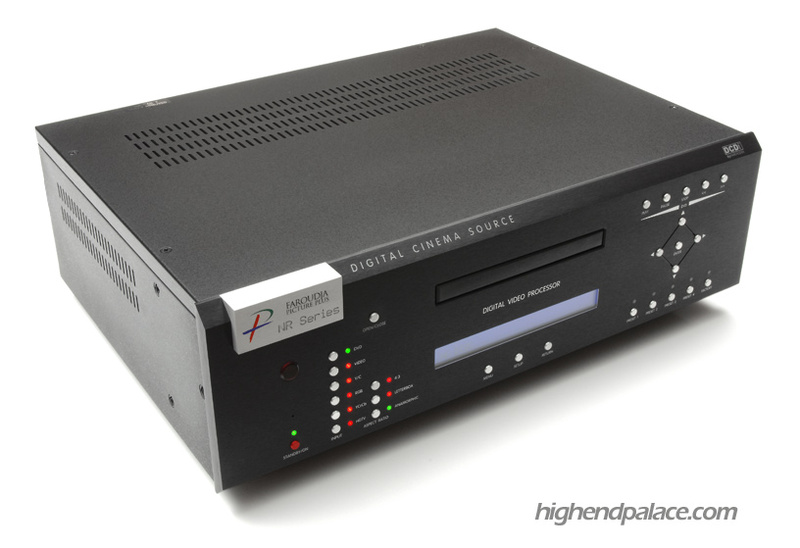 The digital circuit provides decoding for PCM, Dolby Digital, Dolby Prologic, DTS and THX formats. It also incorporates 4 DSP music modes, Natural, Club, Stadium, Party. 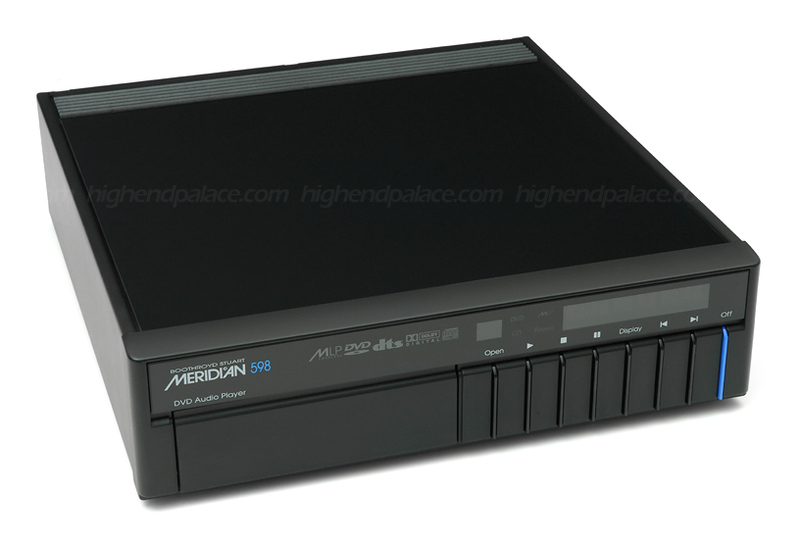 Mint condition Meridian 598 DP Reference CD/DVD/DVD Audio Transport that plays DVD-Audio, DVD-Video, DVD-R; Video CD (VCD), CVCD, MP3; CD Audio (CD-DA) including CD-R and the CD layer of hybrids such as CD+ and CD/DVD (DVD+). Low hours, 120 Volt US unit and fully checked by Meridian with all the latest upgrades. 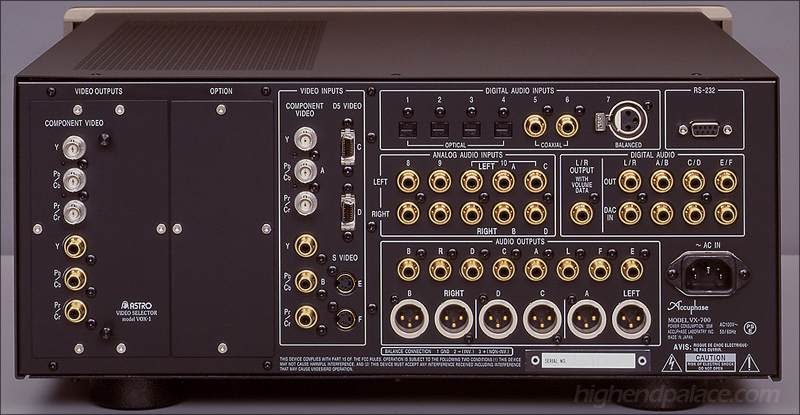 The 598 puts out a solid picture and sound for reference theater applications. I know of no player under $5000.00 that can touch the 598 performance in video or audio. The picture is rock solid, stable, free of artifacts and superb natural colors. The audio is clear with outstanding resolution. If you own a nice projector or plasma and you want a state-of-the-art picture for standard DVD playback the 598 will deliver a new dimension performance. 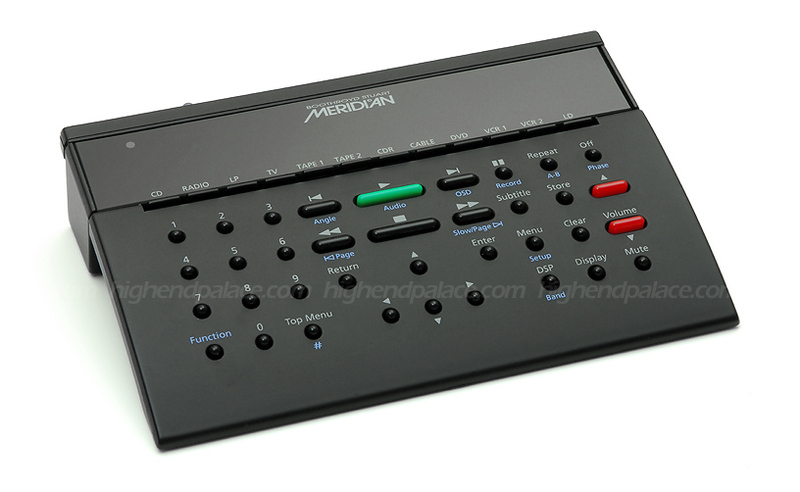 Link to the Meridian 598 owners manual and a AV Revolution review. 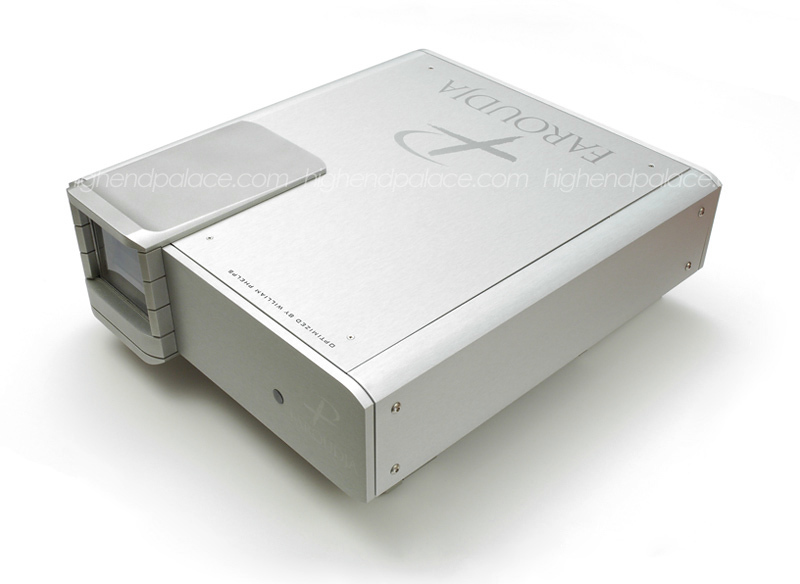 This stunning silver D1x Evolution universal player with separate power supply. This unit provides true high-end 2 channel sound with RCA's, XRL's and AES/EBU Digital Out and in case you are into theater too, it will provides film quality out of regular DVD's, you have not seen your projector or plasma yet. The D1Xe provides a rock solid picture you have never seen information and colors out of your current DVD's collection till you see a D1Xe, simply stunning! Mint condition unit with original packing and double boxes. Mint condition Universal Audiophile/Videophile player that plays CDs, CD-Rs, SACDs, DVD-As, and DVD's; fully balanced circuitry; "Ultra High Density chassis" makes for a very sturdy, very heavy digital component with XLR outputs. This unit provides a superb CD/SACDs playback performance, it also has the DVI for a superb picture to your plasma or projector. Low hours, 120 Volt US unit. Review one, two and three. Call High-End Palace for your Esoteric! 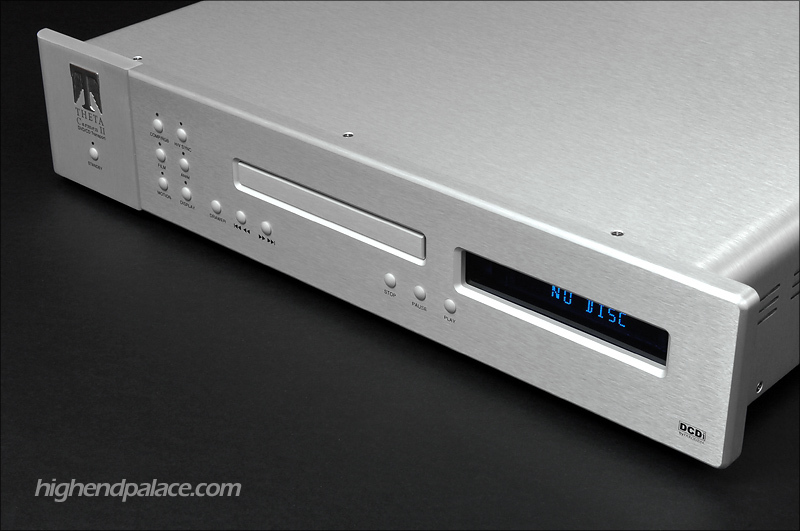 One of the best high-end theater processor and amplifier in one chassis. Yes sir! The RV-8 offers an impressive 140 watts x 7 channels, Dolby Digital Surround EX, Dolby Pro Logic II, Dolby Pro Logic, DTS 24/96k, DTS-ES, DTS neo 6, many DSP modes like nightclub, concert hall, church, cathedral, panorama for live concerts, THX Ultra2, THX Surround EX, THX Ultra2, LOGIC7, HEADPHONE L7 listening mode, AM/FM tuner allows for automatic or manual storing of up to 40 preset stations, PHONO, Master Universal Remote etc. New unit, open for pictures! The Theater Standard processor features KRELL's Current Mode discrete Class A direct-coupled circuitry with balanced outputs, Dolby Digital (AC-3), Dolby Pro Logic, and DTS decoding, KRELL Music Surround modes even balance analog inputs for audiophiles. 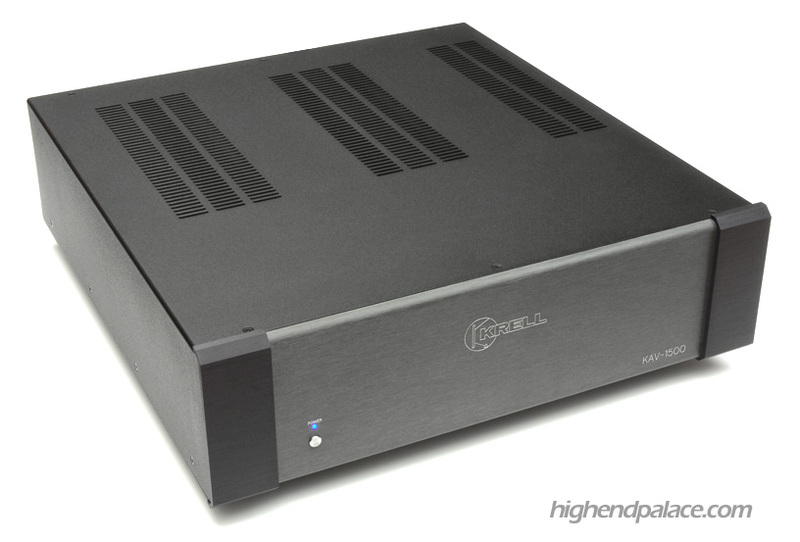 The KRELL KAV-1500 is a very special multi channel amplifier because it has true effortless power to drive any complete speaker system with ease. There are very few multi channel amplifiers that can compete with the KRELL 1500; in order to do better you most go to 5 Mono Blocks. There is no receiver in this world that can even come close to matching the KRELL 1500 performance, none! We have done many A/B's in the past to show customers that their is no substitute for quality amplification, for headroom, for clean power, most home theater systems sound compress, distorted and after a 5 minutes into a movie or a concert you have a headache because today's better main speakers, center channels and rears demand better amplification for the volume and quality that most videophiles like to enjoy now days. 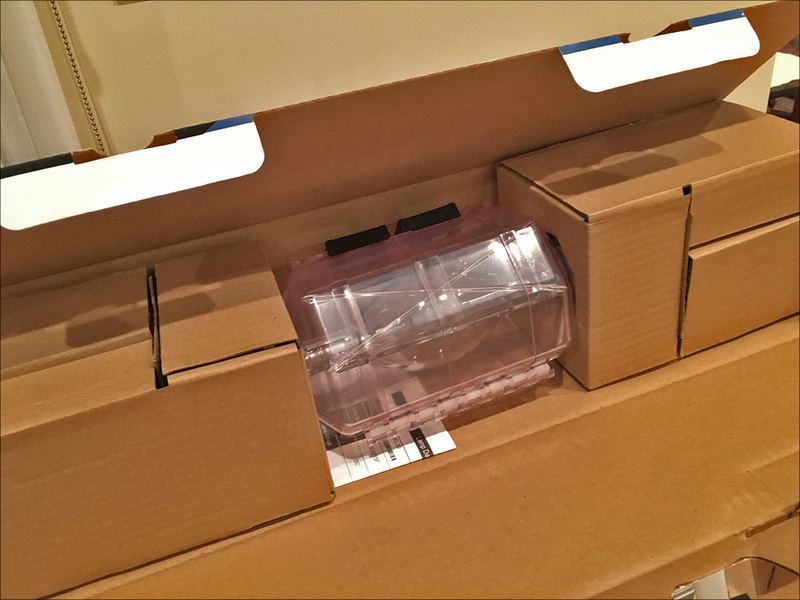 We have the original boxes, manuals and master KRELL remote. These units are as new as they come; it was a trade-in from a very good client of ours that takes extremely good care of his high-end audio and theater equipment. Please contact The Palace 786 388-8050 that we will give some lucky client a deal on these two units, especially if you are a client of ours.